rosters have been great. Thanks for keeping it all updated. 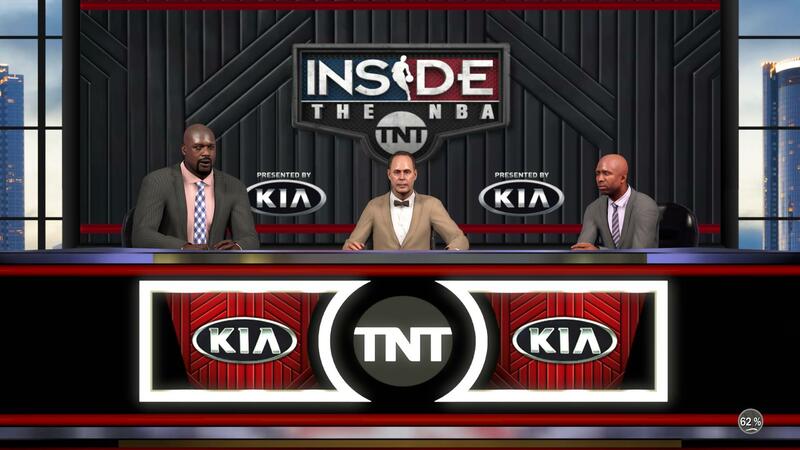 BTW...I'm loving the TNT Mod you did!! The v5 Rosters should be out before the end of the week. I made a lot of adjustments so they should be even more fun to play with. I played the Houston vs Orlando game last night with the v5 Rosters and scored 36 with "The Beard"...won the game 110 to 108 on a drive with Harden. I didn't realize how LONG Orlando is...they were blocking my shots like crazy!! 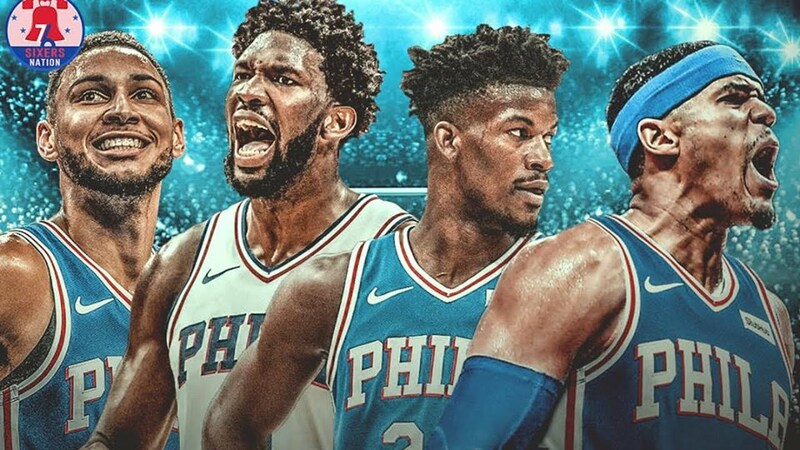 Them long arms on Bamba and Isaacs PLUS Gordon and Vucevic....DAMN!!!!!! I was sure I was going to lose the game but managed to comeback in the last few minutes of the 4th Quarter. The Los Angeles Lakers would have to start with Lonzo Ball, Kyle Kuzma, Ivica Zubac and a 1st round pick in a potential trade for Anthony Davis, said a source close to the deal. Davis' agent Rich Paul stated that Davis asked for a trade from the Pelicans. Paul has not given the Pelicans a list of preferred destinations, although he will inform interested teams of whether Davis would sign a long-term extension with them. Anthony Davis has no interest in signing a contract extension with the New Orleans Pelicans and has requested a trade, agent Rich Paul of Klutch Sports says. Davis is eligible to sign a five-year, $240 million supermax extension this summer. If he doesn't sign an extension, he'll become a free agent in the summer of 2020. "Anthony wants to be traded to a team that allows him a chance to win consistently and compete for a championship," Paul told Adrian Wojnarowski. "Anthony wanted to be honest and clear with his intentions and that's the reason for informing them of this decision now. That's in the best interests of both Anthony's and the organization's future." 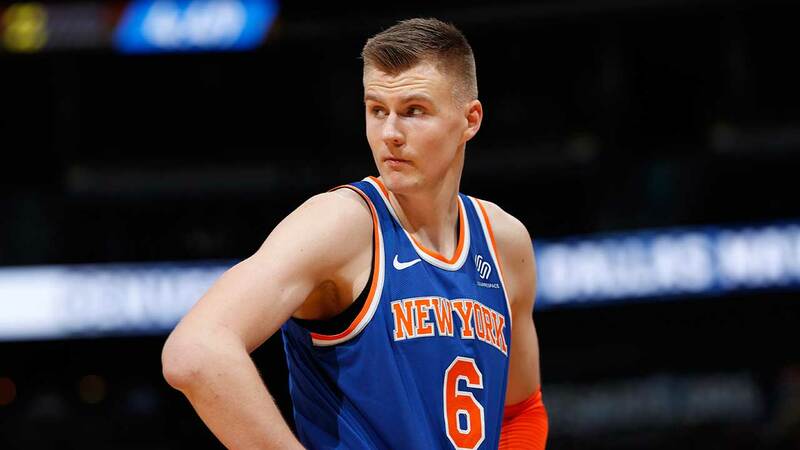 The Dallas Mavericks and New York Knicks have agreed to a trade involving Kristaps Porzingis. The Knicks would receive Dennis Smith Jr., DeAndre Jordan, Wesley Matthews, and a first-round pick according to Mark Stein. The Mavs would also take on the contracts of Trey Burke, Tim Hardaway Jr. and Courtney Lee. The trade comes on the heels of a tense meeting between Porzingis and Knicks management this morning. Don't be afraid to play around with them because everyone has their own preference but once you Tweak them to your liking the Game has a completely different feel compared to the out of the Box settings or the Presets. Last edited by Darth-Skinett on Tue Feb 12, 2019 10:40 am, edited 5 times in total. I just released v5 so you are a little late but I think you can do it with Limnono's Tool. If that doesn't work you can do it manually, there aren't that many injuries since I only did the LONG TERM ones. sent you a pm, just so ya know. bongo88 wrote: thanks for the update. I'll check it out. I will adjust the credits accordingly. Haha, no problem. Anybody can do anything with my mods--no credit needed. They are just stuff i do in my free time. I adjusted them to be worn sometimes during Association but in Exhibition they will be wearing the headband. You can remove them with Limnono Tool or Cheat Engine. Can you update the tattoos of Lonzo Ball and Markelle Fultz ? 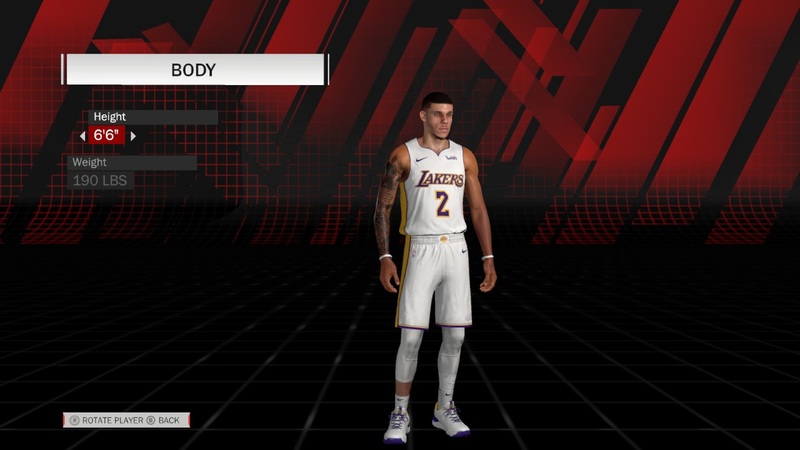 billy0978 wrote: Can you update the tattoos of Lonzo Ball and Markelle Fultz ? Can you provide a pic? I do not do Cyberfaces but if there is another one out there that has the updated tattoos I will update it in the next CF Pack. Last edited by Darth-Skinett on Tue Feb 12, 2019 10:47 am, edited 1 time in total. 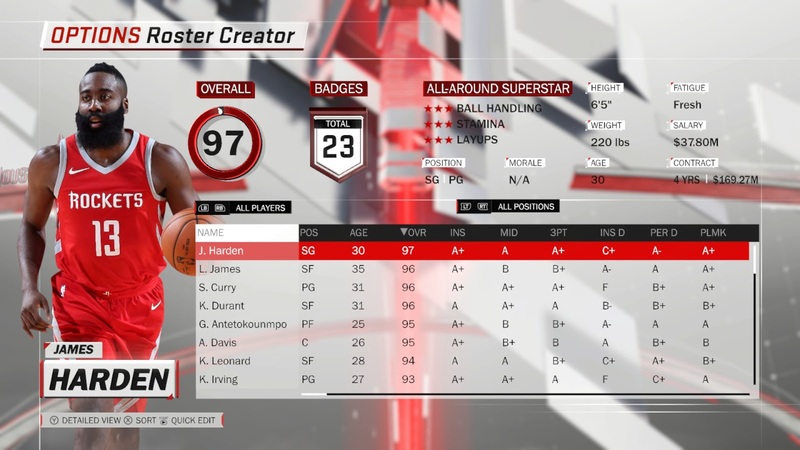 [Preview + Update] 18//19 2k18 Community Rosters v5.1 -- Who is the BEST? I did this before earlier in the Season and dethroned Lebron James as the Best Player in the NBA at the moment. Well...I'm going to do it again!!!! 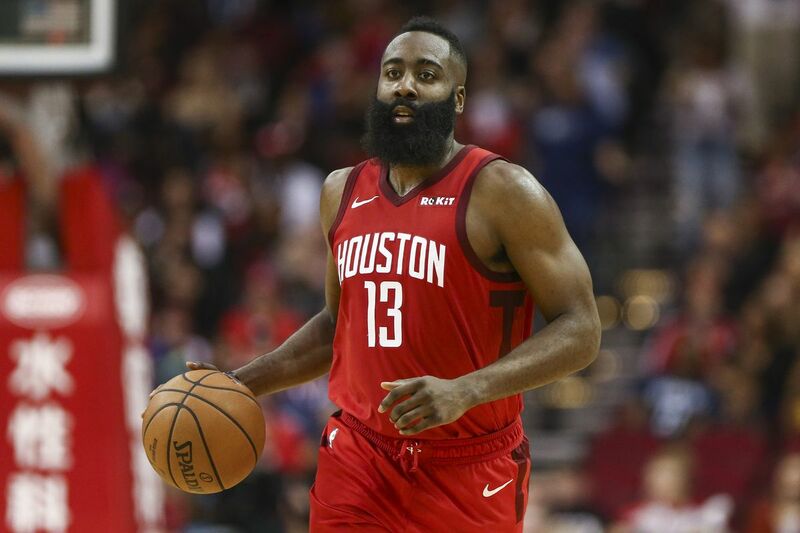 I have been watching what James Harden is doing in games terrorizing Team after Team from since the beginning of the Season. He is a BEAST! PLUS!! Look at what teammates he is doing this with...and Capela is injured! Lebron is still injured or "recovering while playing" and is not playing like the #1 Basketball player in the NBA at the moment. Lebron should get the mentoring from Magic instead of Ben Simmons on being a Point Guard. He messes up the spacing so he should just play Point Guard and let someone truly play SF or PF so they flow better offensively. Lebron then could dominate the PG on the other team or simply create a mismatch / double team so he can dish like he does now. Who would you pick to build your NBA Team if you had a choice based on how they are playing right now Kevin Durant or Lebron James? If you had to make a Game Winning Shot or Free Throw. Who would you pick Lebron James or Stephen Curry? Should Lebron still be #1 ? 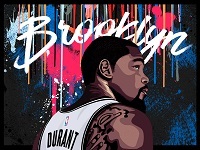 Should Kevin Durant be # 1 ? Should someone else be # 1 ? Re: [Preview + Update] 18//19 2k18 Community Rosters v5.1 -- Who is the BEST? 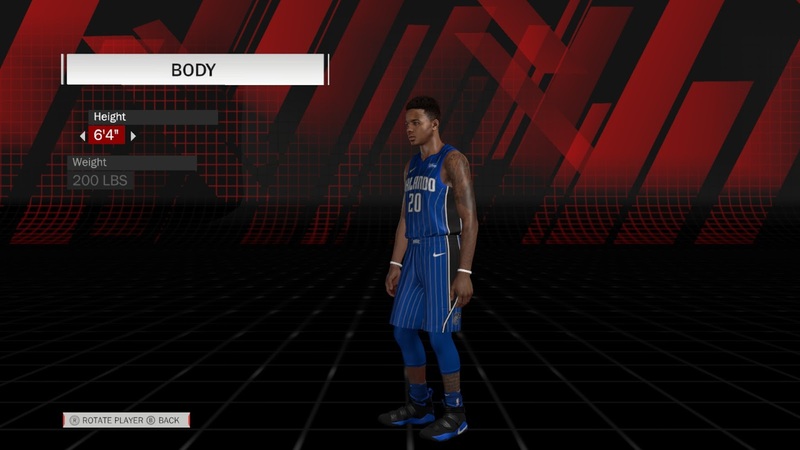 Just a preview, very basic using 2k18 assets. Hoping to texture it to the major broadcasts. Just letting y'all know. I will post them to my stuido thread when i got some finished. 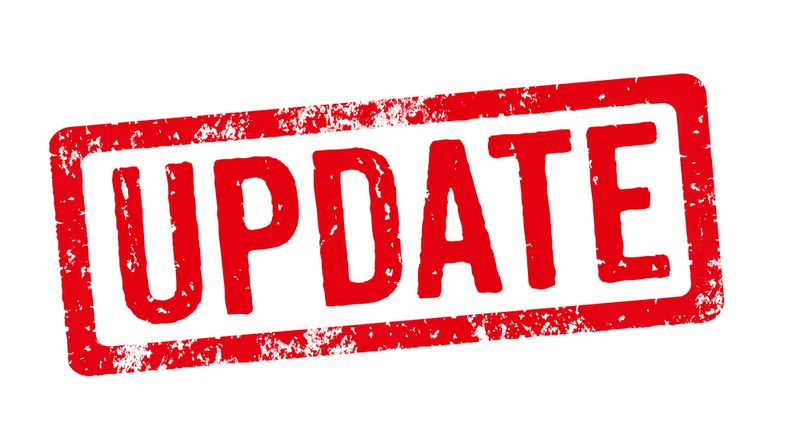 Last edited by Darth-Skinett on Thu Feb 14, 2019 5:15 am, edited 4 times in total.